Today's look will show you how to combine hot weather with a hot temper. Check this men's summer style look from Rowan Row Instagram. Combine a plain white T-shirt and white sneakers with bold ripped jeans! Rowan has more than 499k followers on his Instagram profile – @rowanrow. 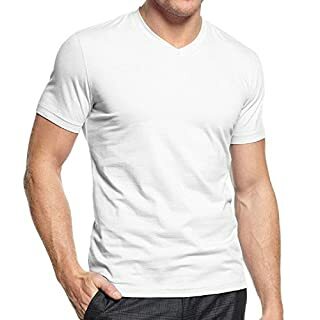 What could be plainer than a white T-shirt? Yet, this simple pattern is the best article of clothing to wear in summer if you want to emphasize the beautiful tan of your body. Be sure to choose the right fabrics in order to avoid profuse perspiration. 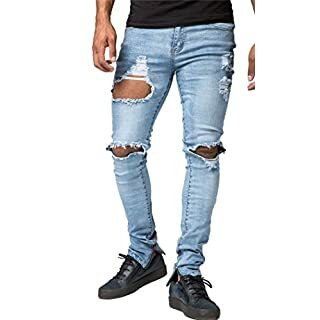 Ripped jeans have become very popular over the past few years. These jeans will add style to your look. A white T-shirt and blue ripped jeans make a great match, looking simple and bold at the same time. Sneakers are probably the best pattern of shoes that are the most fashionable and at the same time the most comfortable. 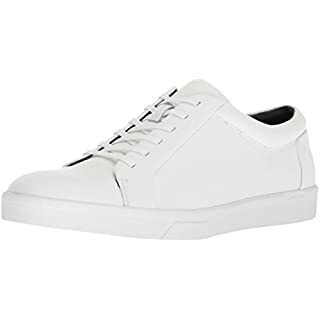 Having been always trendy, white sneakers have recently gained really unprecedented popularity and can definitely be considered the most popular and fancy type of shoes. 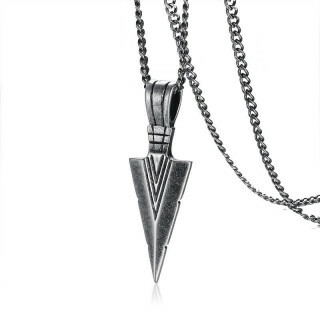 The first accessory to add to the look is a steel necklace with a triangle. 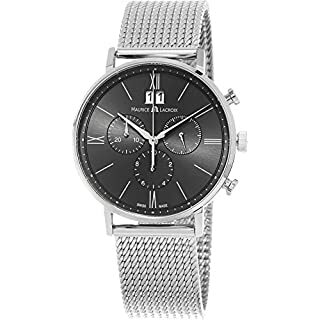 Men's necklaces look really great when combined with other accessories of the same kind – in our case, with a steel grey strap watch and a steel strap bracelet. It'll look perfect against the white background of the T-shirt. A watch has remained the most common and a perfectly male accessory to make a good match with a stylish outfit. Indeed, without a fancy watch any outfit would look uncompleted. Choose the watch model that will fit your steel necklace and a steel strap bracelet in such a way that they will look as though they had been designed by one master one after another. 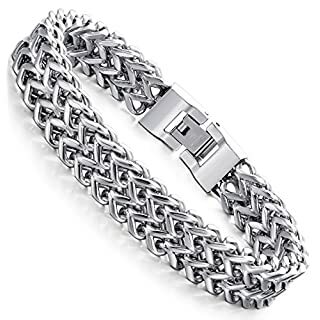 In addition to a watch, steel strap bracelets are known to be a perfect accessory to append almost any look. There are always plenty of various steel strap bracelets available, so decide on the best variant that is most likely to produce the most stunning effect when combined with your stylish outfit. Add some sternness to the look by wearing sunglasses. 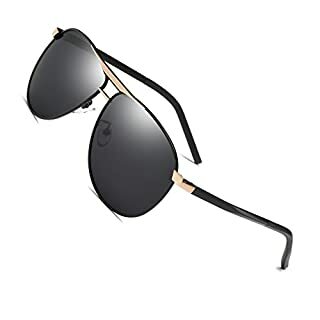 These will not only keep your sight clear in sunny weather but also make your outfit look more stylish and earnest. This accessory is sure to perfectly complete your look.